The leader of Tseghakron Party Shant Harutyunian was transferred to Convicts’ Hospital penal institution around 2:00 pm today, Harutyunian’s lawyer Inessa Petrosian told Aysor.am. In her words, yesterday she met with Shant Harutyunian and asked him to end his hunger strike, but Harutyunian has no intention of ending his hunger strike. “His health condition has deteriorated and to all appearance, there was no option but to take him to hospital,” she said. Asked whether the results of forensic tests were submitted, Inessa Petrosian said she has not yet been informed about that. Shant Harutynian went on hunger strike at 8:00 pm on December 24. The head of the press service of Armenian Justice Ministry’s Criminal Executive Department Gor Glechian confirmed this information during a talk with the correspondent of Aysor.am. 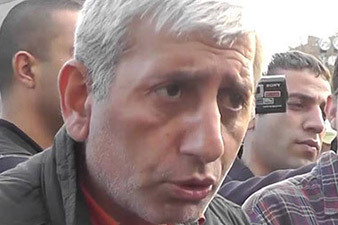 “Shant Harutyunian wrote in his application that special services of Turkey and Russia started an operation against him,” Gor Glechian said when speaking about the reasons of Harutyunian’s hunger strike. Glechian said that Shant Harutyunian did not make any demands for lifting the ban on meetings with his family. On November 5 of last year Shant Harutyunian and his supporters, armed with clubs and rods, staged an unauthorized march. Policemen urged them not to disturb public order and stop blocking Mashtots Avenue in downtown Yerevan. Yet protesters began exploding improvised explosive devices. A criminal case was opened. 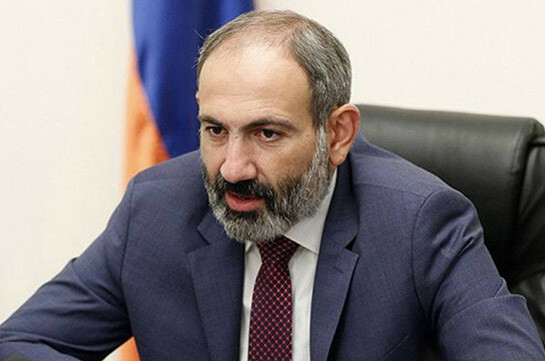 Shant Harutyunian, Avetis Avetisian, Liparit Petrosian, Armen Hovhannisian, Vardan Vardanian, Misak Arakelian, Albert Margarian, Anushavan Grigorian, Mkrtich Hovhannisian, Vahe Mkrtchian and Hayk Harutyunian were charged under Article 316 part 2 of the Criminal Code. Tigran Petrosian, Alek Petrosian and Sevak Mnatsakanian were charged under Article 316 part 1.